Lena Dunham, the writer/director/star of TINY FURNITURE has created a movie that feels both very specific to downtown New York and entirely universal at the same time. Aural, the film’s main character, graduates from college, moves back home, tries to get a job and figure out her place in the world at large. It’s an overwhelming task. It brought back pangs of how I initially felt upon graduating and, how I still feel today. It’s also the story of how sisters relate to each other, how mothers and daughters go through growing pains of their own and how there isn’t a map (but maybe, there’s a diary) to help us all navigate through our tumultuous 20s. This is very much a 20-nothings story. I felt like I was watching someone without skin walk around in public, nerves, muscles, veins, tendons, and bones all exposed. Lena Dunham has made a beautiful and poignant movie that recognizes a generation no one seems to know what to do with. A generation that’s continually being rearranged and used for decoration, much like furniture. I am the proud owner of a crazy CD of Christmas music called “Hipster’s Holiday.” This is my favorite track — because who doesn’t want a five-pound box of money for Christmas? Christine Ebersole does a rendition of this tune that rivals Pearl Bailey’s original. 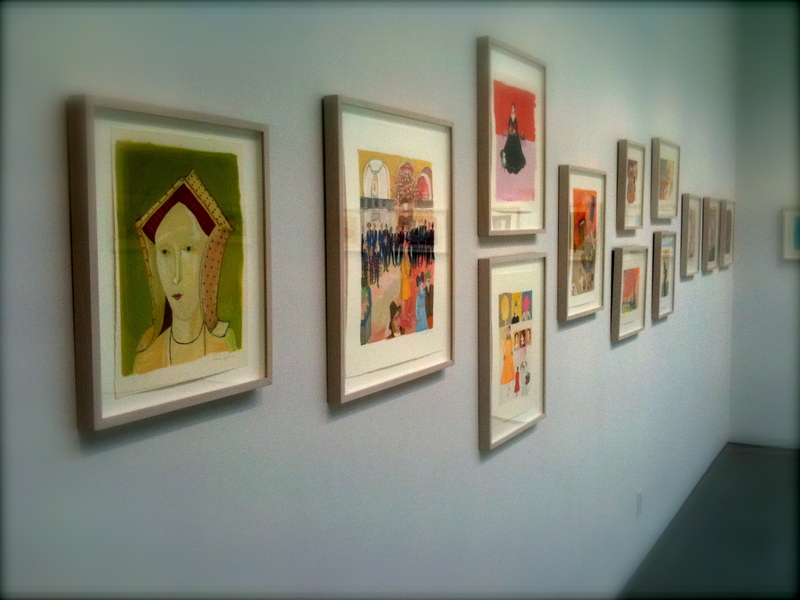 I’ve written about both Lynda Barry and Maira Kalman before, most recently about Maira’s book, “And The Pursuit of Happiness.” Last week, I attended a conversation between Lynda Barry and Maira Kalman at the 92nd St Y. Just the combination of those names was enough to make my brain explode and had me purchasing a ticket to this event back in September. Two friends joined me (one from Canada and the other from the far away land known as Hell’s Kitchen). Before their conversation, Lynda and Maira were able to spend 15 minutes each giving a Powerpoint/slide presentation of their books and talk about their work. The moment they sat across from each other, I felt as if I was watching both side of my brain in conversation. Maira was the epitome of a polished New York artist, in back pants and a black jacket. 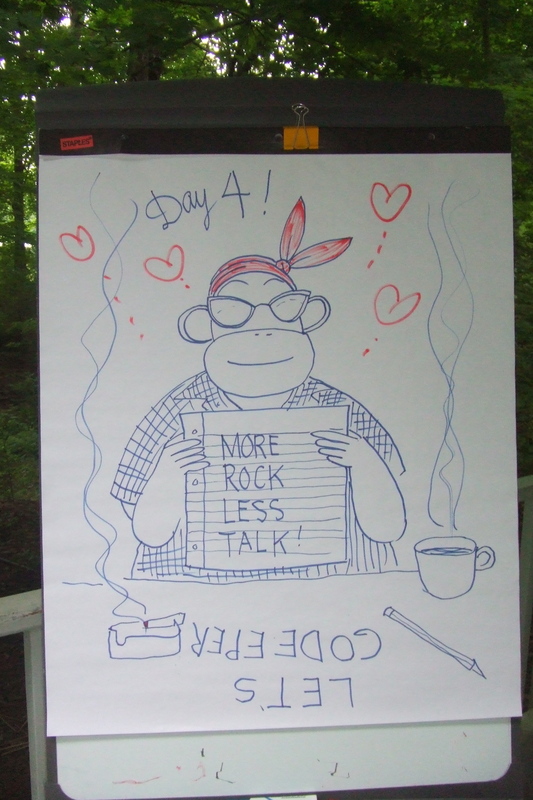 Lynda, the Midwestern, rough-and-tumble kid at heart, dressed much like her collage-style work: cuffed jeans, Pocahontas braids, a black hat, and motorcycle boots. Lynda is Wild Turkey. Maira is coffee. Despite their physical differences, the two share a similar approach to their work: They both rely on memories and observation to combine their handwritten text with their images. Maira’s images are more realistic. She works directly from photographs (most of which she takes herself). Though there’s still a bit of a surrealist quality to her work. At one point, Lynda said to Maira, “your pictures look like frosting. Sometimes I just want to eat them.” She’s not so far off. Lynda’s work digs deep into the state of play we all lived in as children. Her medium is yellow legal pads, Chinese ink and brush, used magazines, and characters she created for her long-running comic strip. 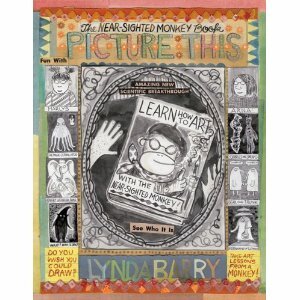 Her latest book, “Picture This: The Near-Sighted Monkey Book,” is a companion to her last book/work book, “What It Is.” “Picture” delves into how and why we draw and the importance of creating something that involves both our hands and minds. Barry’s book is part story, part hands-on work book. When it comes to art, drawing and writing, she’s a suggester, not a forcer, but her message is so enthusiastic, strong, and kind, you would do anything to hear her positive reinforcement, including drawing a hand turkey. This entry was posted in Uncategorized and tagged 20-nothings, 92nd St Y, and the pursuit of happiness, art, artists, comics, conversation, hipster's holiday, illustrators, Lena Dunham, listen, lynda barry, maira kalman, Monday, monday's watch listen read, pearl bailey five pound box of money, Picture This: The Near-Sighted Monkey Book, post-college, read, Talks, Tiny Furniture, watch, writing. Bookmark the permalink.